So after many of the leaks and rumors, Samsung finally announced Samsung Galaxy Note 8. This smartphone is the 2017 model from Samsung in Note series. The smartphone is successor to last year launched Galaxy Note 7 which was a big flop for the company. Last year there were many cases of bursting of Note 7 all around the world due to some problem in the batteries of the phone. Due to this Samsung withdraws all Note 7 from all places and refund all the money to people. So all have many expectations from this Note 8 this year. 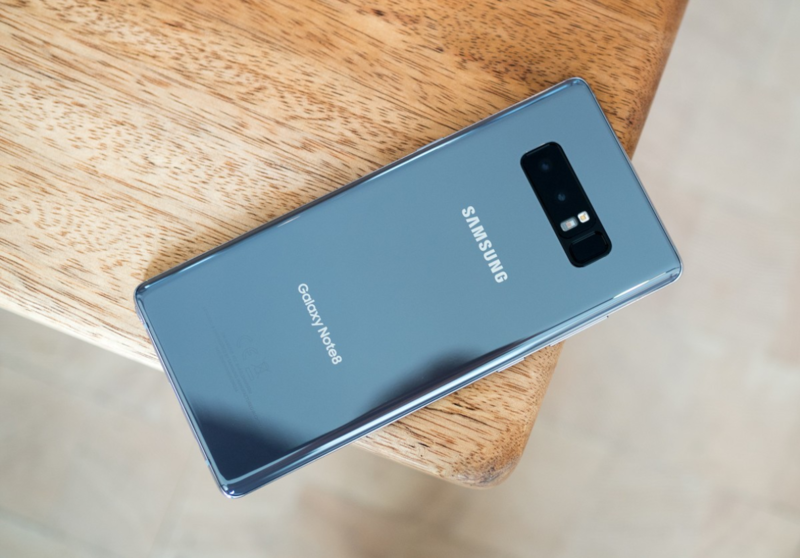 Samsung Galaxy Note 8 has many things common to previously launched Samsung S8+. So let's see some of the specs of the device and what extra features Samsung has provided here. Samsung Galaxy Note 8 is a flagship phone from Samsung, so it's design should be very premium. Note 8 has same metal and glass design as found on Samsung S8 or S8+. 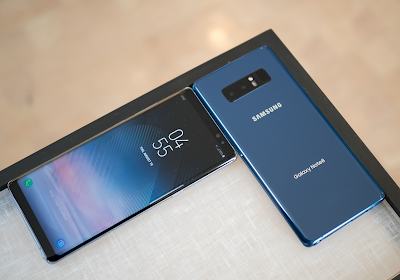 Note 8 supports 6.3 inch quad HD display with aspect ratio of 18.5:9 as found on S8+. The phone has very thin bezels, due to which it looks very cool. The design of the phone looks extra premium. This display is Super AMOLED type display as found on S8+. Also the phone is waterproof with IP68﻿ ratings. 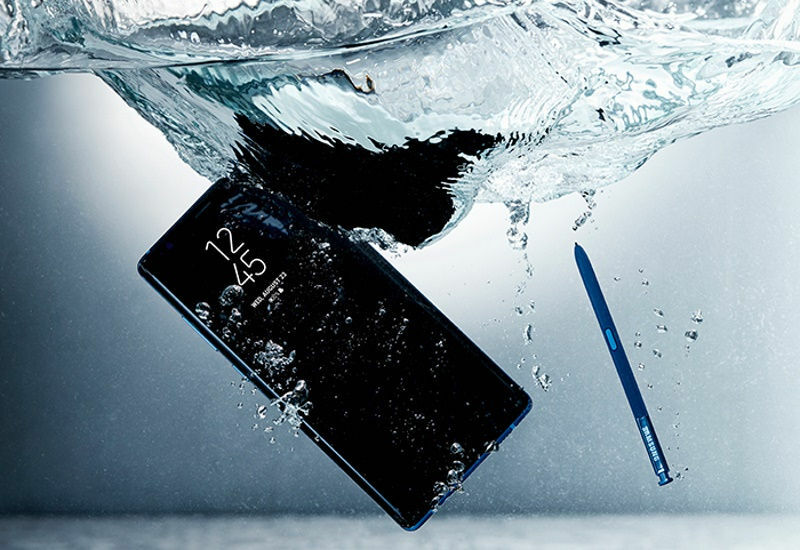 The S pen is the most interesting feature of Note series and it is also present in Note 8. It can be found at the bottom of the phone. The phone comes in four colors that are Midnight Black, Maple Gold, Orchid Grey and Deep Sea Blue. All the four colors look great. The most interesting feature is it's infinity display which has very thin bezels and has aspect ratio of 18.5:9. So it looks really great, the media and games will be really enjoyable on this device. Samsung Galaxy Note 8 is powered by Qualcomm's snapdragon 835 chipset and there is one more version which comes with Exynos 8895. We already know about the performance on Samsung S8 which is blazing fast as they also have the same chipset versions. 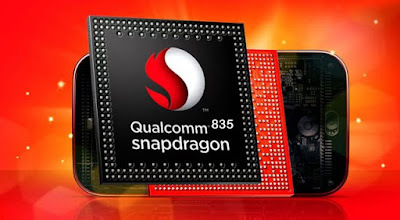 So there won't be any issues regarding the performance of the device it has a blazing fast chip, which is built on 10nm architecture. So it will also help in reducing the power consumption of the device. For gaming and better graphics this is powered by Adreno 540 GPU. So gaming will also be lag free without any framedrops whatsoever. The best feature which separates this phone apart is it's S-Pen. S-Pen is the most interesting feature of Samsung's Note series. So let's see what this S-Pen can do. 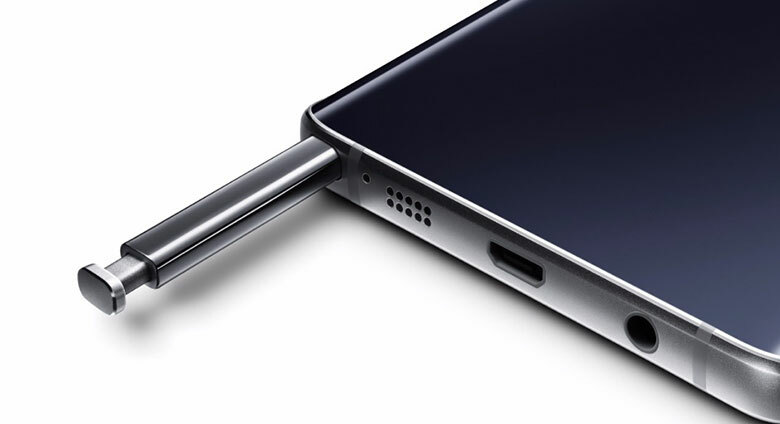 This S-Pen is a small type of pen which can be fitted inside the phone at the bottom. It can be taken out by clicking on the S-Pen at the bottom. The tip of this S-Pen is very fine with greater sensitivity. Also this can work under water and is totally waterproof. We can simply write notes with this S-Pen by just scribbling it on the screen. We can use it in place of our fingers as the size of the phone is very big. When we take this S-Pen out even when the screen is off, and scribble on the dark screen, we can write a note even if the screen is locked. And actually we can save these notes on our phone and share them with others. Also with this S-Pen we can send Live messages which is a new feature. With this we can actually animate a picture or just we can write on the blank background, and thus send these to others as messages. This is really cool feature of this S-Pen. Also when we are on some page with any other language, and touch that text with our S-Pen it automatically translates that text in our language. Also it translates the currency in the same manner and many other such things. Another amazing aspect of this Samsung Galaxy Note 8 is it's camera. Here Samsung is first time using the dual camera setup. 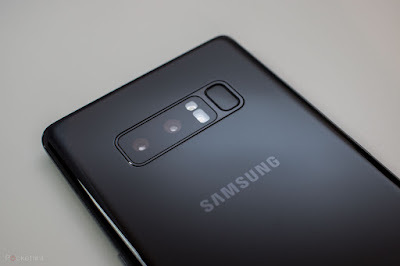 It has dual primary camera at the back with both 12MP sensors, among which one is simple lens with f/1.7 aperture size and other is a telephoto lens with f/2.4 aperture size. This camera setup is same as found on iPhone 7 or OnePlus 5. It is also having Optical Image Stabilization for stabilized pictures and videos. Also it is having Phase Detection Autofocus for better focusing. It's telephoto lens helps in 2x optical zoom for better zooming. Also this telephoto lens helps in blurring the background in portrait mode. There is one new feature in the camera now which is Live Focus which helps in capturing the pics in portrait mode by blurring the background and focusing on the thing which really matters. This not only captures portrait photo, it also takes a normal pic. Also we can adjust the blurring background effect after capturing the pic. This camera can record videos upto 4K at 30fps. Also it can record slomo videos at 240fps. On front this phone is having 8MP secondary camera with f/1.7 aperture size. This camera can capture video upto 2K at 30fps. Samsung Galaxy Note 8 is having 3300 mah of battery. The battery's capacity is a little bit low by seeing it's display which is quad HD. So it's a little bit doubtful that this phone will last for a full day or not, all depends on optimization. Also the phone is having a USB Type-C connector. It also supports quick charge 2.0. It also supports wireless charging. User Interface of the phone is good. It's same as that found on Samsung Galaxy S8/S8+. It runs on Android version 7.1.1. The user interface is very good. It has many functionalities like always on display, Bixby, Samsung Dex and many more. 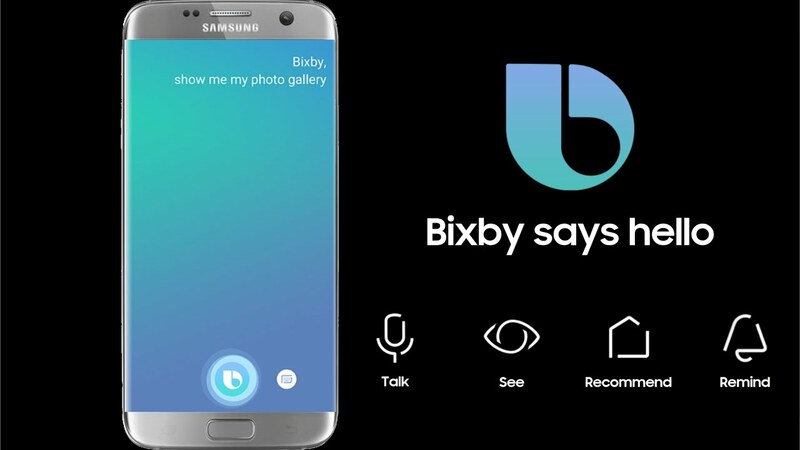 Bixby is the self built Virtual Assistant as found on Samsung S8/S8+. Actually there is a dedicated key at the left side of the phone for Bixby. 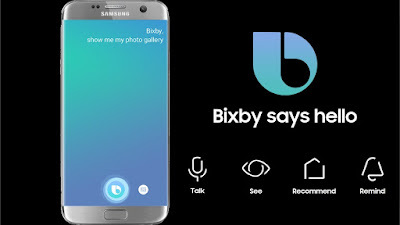 Bixby is same as that of Google Assistant. Bixby does all works what Google Assistant can do. But there are some extra functionalities like if we say good night to Bixby it will immediately detect it and thus switch on blue filter of phone and also switch on do not disturb mode. Also there are other functionalities like this. Samsung Dex is also a good feature of Note 8. It allows us to connect our phone to a monitor, Keyboard and mouse for the desktop experience powered by our phone. Just we have to do is put our device on a pad, and it automatically switch on the desktop version and shows it on the monitor. Also there is one unique feature here know as App Pair. Here we can pair up any two apps together and put them together as app pair. And when we click on a specific app pair, both the apps will get opened on the screen with half half portion on screen. So it is really helpful for users who use two apps together. So these are some of the features of Samsung Galaxy Note 8. The phone will hit stores by September 15. But the pricing is still unavailable of the phone. It will be different in different countries. Also the availability of the device will be different for different countries.